Shovel Knight has been bursting at the seams lately. The cavalcade of good news continues with the announcement that Shovel Knight: Treasure Trove is getting a physical release in North America and Europe! It will arrive on April 9, 2019 and include every expansion from the game. 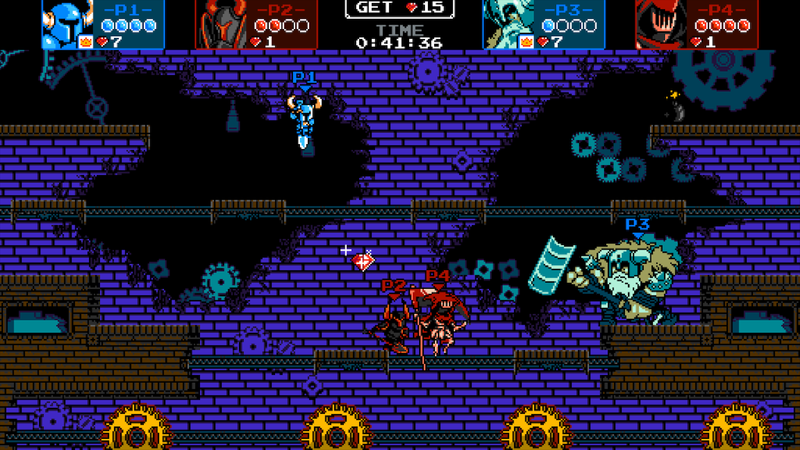 Shovel Knight: Treasure Trove will cost $39.99 when it comes out. However, the digital version of Treasure Trove is still available at $24.99. and everyone who buys or owns it gets all of the game’s expansions for free. April 9, 2018 will be a big day for Shovel Knight fans, as it turns out that will also be the release date for Shovel Knight: King of Cards, the game’s final campaign. Unfortunately, that also means it has been delayed from its original 2018 release date. On the bright side, King of Cards won’t be alone. Yacht Club Games has also confirmed that Shovel Knight Showdown, Shovel Knight’s multiplayer expansion, is launching on the same day. As a reminder, it will bring a host of cooperative and competitive multiplayer modes to the indie hit. Both King of Cards and Shovel Knight Showdown are part of the Shovel Knight: Treasure Trove and will be included in the physical collection. They can also each be bought separately for $9.99. The Shovel Knight: Treasure Trove collection will release on April 9, 2019, for the PlayStation 4 and Nintendo Switch.